Bogor, a small city located in southern of Jakarta is well known for its culinary selection, especially the authentic local foods such as toge goreng (stir fried beansprout), soto mie (mee soto / noodle soup) and laksa. However, aside from those common must-eat foods in Bogor, there’re also selections of delicious noodle you can’t miss out. Why noodle? Noodle is people’s favorite here in Bogor. It’s easy to find noodle seller in Bogor, from the street noodle vendor using a cart, small noodle shop to the proper noodle restaurant. As almost every Asian country with many type of different noodle dish, Indonesia is no exception. For Bogor, the most common kind of noodle is chicken noodle, which is basically a boiled noodle, tossed with oil and seasoning, served with chicken and green vegetables. 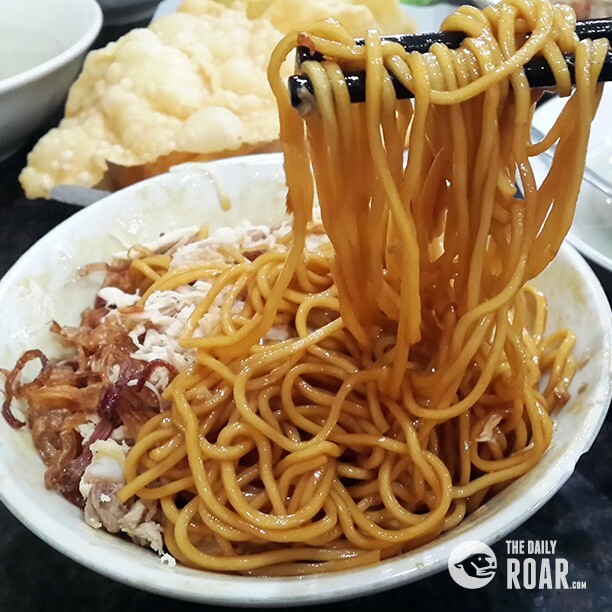 In this article, there are 3 noodle shops that have their own delectable taste and worth to try when visiting Bogor. 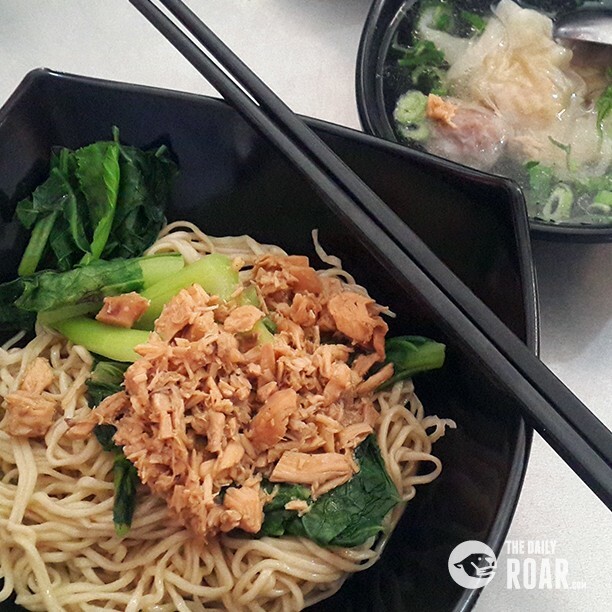 First, the all-time favorite chicken noodle from Sahabat restaurant or also known as Yun-Sin by the local people. Their dry noodle can be served savory or sweet (with soy sauce), and unlike any other chicken noodle, they never served their noodle with vegetables. It’s just noodle, shredded chicken, and fried onion. This restaurant has been in this business for ages and they make the noodle by themselves, giving their noodle a distinct texture. However, this restaurant is considered non-halal because they also served pork meatballs as a side dish. Second, the common-like chicken noodle from Dorea noodle shop. Even though this noodle shop is considerably smaller than the noodle shop mentioned before, they do have a delicious noodle. They also make their noodle, meatballs, and dumpling by themselves so it has a distinct taste. While it may look like any chicken noodle you can find on the street vendor, it tastes undoubtedly more satisfying. They cook the chicken before serving it as a noodle topping, so the chicken itself is already tasteful. What’s great about their chicken topping is that it’s full chicken meat. Some vendor mix the meat with skin and even chicken cartilage to make it looks massive but it gives unpleasant taste. Third, the exceptional Chinese version of mee soto by Soto Mie Agih. While Bogor authentic soto mie is a noodle served with beef broth, beef chunk and a fried dumpling, this one is different. 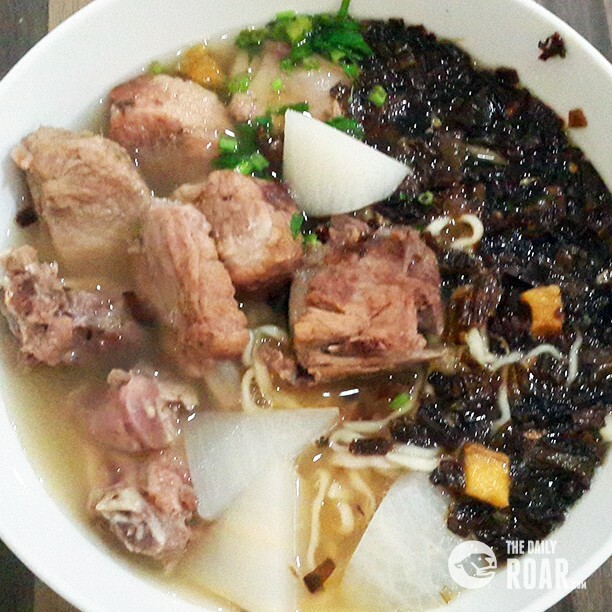 It’s a noodle served in thick pork broth with boiled pork ribs, radish and fried chopped leeks. The broth is so tasteful and everything is such a great combination. This one of a kind mee soto can only be found in Bogor and Sukabumi (a city close to Bogor). The address of these three noodle shop could easily be found on the search engine. Happy Eating! Next articleSoothe Your Throat Sore with the Balinese Homemade Drink "Loloh"